E-prescribing allows a physician, nurse practitioner, or physician assistant to electronically transmit a new prescription or renewal authorization to a community or mail-order pharmacy. It outlines the ability to send error-free, accurate, and understandable prescriptions electronically from the healthcare provider to the pharmacy. Literature for Generic Names, showing dosage, indication, side effects etc. 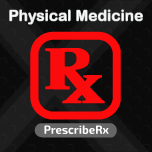 The prescription can be Export to other formats or Email to your Patients. To learn more about Prescribe Rx (Prescription Management Software) or another Our product or service? Contact us, we’ll be happy to help.